Hi Loves! I’m back for another blog. I recently went to Bali with my college friends. I’ll soon be posting our itinerary but for now, I’ll be blogging about my top 5 coffee shops in Bali (cos priorities haha)! I felt that it’s really a blessing that I went to Bali last July for a short vacation because I was really stressed because of work and I think that Bali is really a good option if you want to chill, relax, and spend time with your love ones. There are so many coffee shops in Bali, as in “many” is an understatement. We spent most of our time in Ubud than in Seminyak. For me, Ubud is more of the traditional town while Seminyak is a place for parties (idk for me, if you like to party, you go to Seminyak). I’m not sure if La Laguna is really a cafe, but they served coffee (so I guessed? haha). 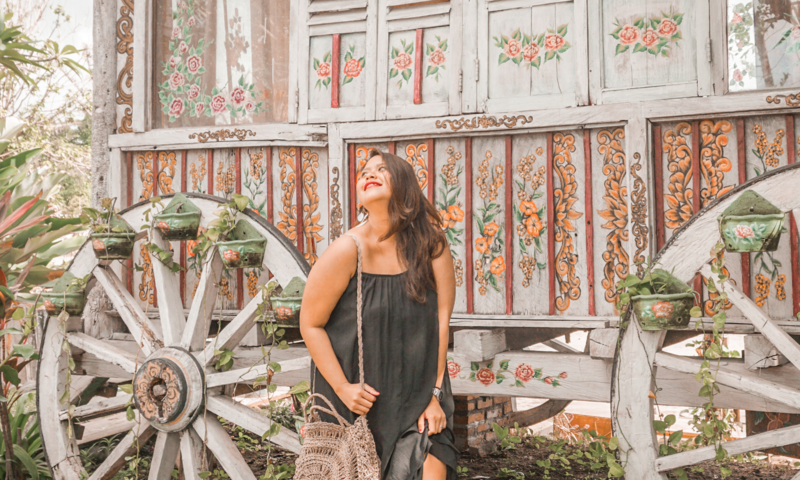 I read about La Laguna from Lissa Kahayon’s blog and we’re super duper happy that we went here on our last day in Bali. La Laguna is very instagram-worthy. It’s like you’re in a mystical or magical place. I think KYND is a more popular cafe among bloggers but if you’ll ask me, I like the vibe of Coffee Cartel than KYND. Well, Coffee Cartel is also bigger and they also offer pink lattes. If you love pink (and cactus), you’ll like Coffee Cartel (as in). They also have a pink wall (just like KYND) that you can have your pictures taken. But take note, if you’re not a fan of chai (the pink one) like me, then you should opt for their charcoal latte instead. I think Livingstone is famous for their croissants but that day, I ordered their taro latte and cheesecake. Both are actually good. We went here to kill time and Livingstone is actually a good place to chill and talk chismis with your friends (haha). The place is also so beautiful. Idk, the interiors and exteriors of most cafes in Bali are very pretty. It’s like you’re in a forest or in a garden. Seniman Coffee Studio is a popular cafe in Ubud. Like, if you check articles re. the best coffee shops in Ubud, you’ll read about Seniman. Thus, during our first day in Bali, we went straight to Seniman. If you order a coffee, they’ll serve you a wooden tray/plate with coffee, water, cookie, and spoon that looks so pretty. They also have big servings of food. What more can you ask for! If you followed bloggers, I’m sure you’re familiar with KYND community— the very famous cafe, salad bar, and smoothie shop in Seminyak. If you’re a sucker of everything that is color pink, it’s really a place for you. If you want to have something healthy in the morning and drink your pink latte, then I recommend this place. So there, dont’t forget to check my IG (@loveexplores) for more coffee shops in Bali. Thanks for reading Loves!